A while back I posted about doing up my little girl’s first proper bedroom with a little ideas board of my plans. 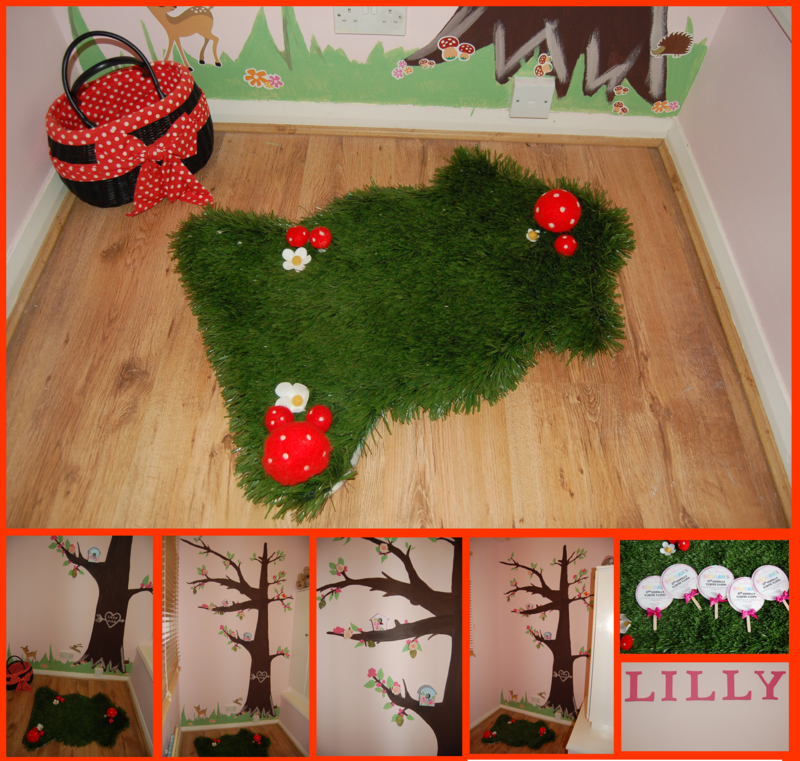 The theme was a woodland bedroom with bold red’s & greens and lot’s of nature. Well the room is finally finished and Lilly LOVES her new room. It’s very much a DIY bedroom. I made the light fitting, the rug, painted the tree mural on the wall & stuck little bird houses & flowers/leaves on, made her name in wooden letters. Here are some pictures of the recycled faux grass rug (by Luxfordst on Etsy & their blog). Over the summer we are going to make a toadstool terrarium and go the woods to catch us some fairies!